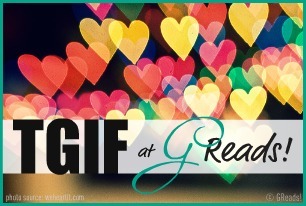 TGIF at Greads! is a weekly meme hosted by Ginger over at Greads!, which gives us a new question to answer each week. Read more! I'm a slow reader, so one of the things I want to try and improve on this year is getting books read faster. I need to stop buying more books for a while and concentrate on reading the piles of unread ones that are spread throughout my house. I seem to read the newest book in my collection before those that have been sat there for years, so I need to try and break the cycle. Easier said than done though, right? Learn how to read poetry properly. And Shakespeare. I still don't understand these completely! So two books I must get around to are Shakespeare on Toast by Ben Crystal, and The Ode Less Travelled by Stephen Fry. Help me out here, boys! What are your own reading resolutions for the year ahead?